For some high school students in Wainwright, a medical career in the military could be a good choice. After all, a Canadian Forces Base is located here. 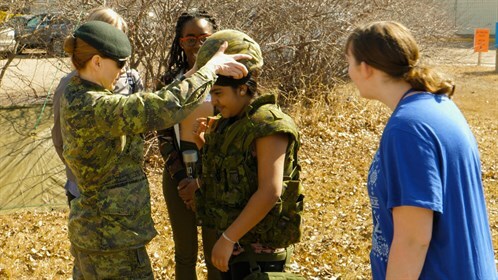 Military was one of six stations at the Grow Your Own skills day at the Wainwright Health Centre. 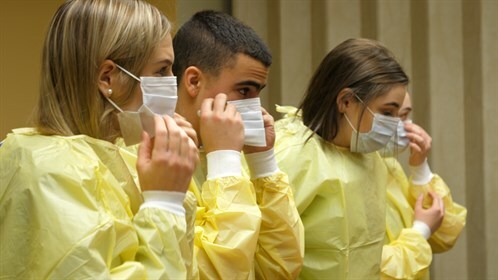 45 students from the two local high schools spent a day immersed in hands-on medical training. 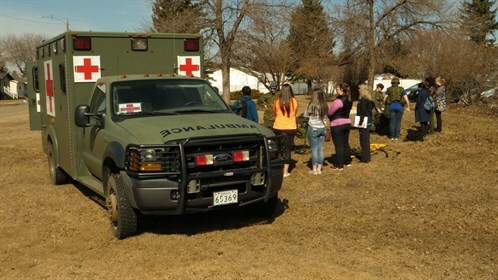 Military was one of six stations at the Grow Your Own Skills Day at the Wainwright Health Centre. 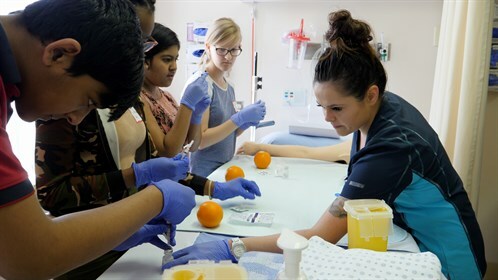 45 students from two local high schools spent a day immersed in hands-on medical training. 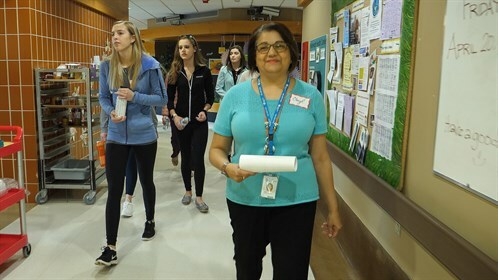 “It’s giving us an opportunity to introduce to them all of the different avenues that are available in the healthcare industry and also in rural because rural is really exciting”, says Cheryl Huxley, site manager at Wainwright Health Centre. “This is awesome. The moment I heard about it, I wanted to sign up”, says Bransen Starkey, a grade 10 student at Blessed Sacrament School. Melissa’s station, IV Starts and Injections was very popular. And for some who get queasy when they get a needle, it was good to know they were fine giving a needle. “If I start healthcare and then realize that I can’t give a needle, that’s a little late then. So, it’s good to know that I actually can give a needle now,” says Haidyn Golinowski. 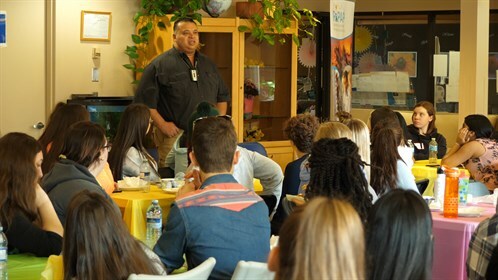 Dr. Max Ramsahoye, who came to Wainwright as a military physician 21 years ago, shared his story. Melissa Youst echoes that feeling, “I love being an LPN in Wainwright. You get so close with everybody. Lots of the patients that you take care of, you see them out in the community, and you get to know them on such a personal level. The Grow Your Own event was organized by Wainwright Economic Development, Alberta Health Services and RhPAP. “It’s been excellent support for us to have RhPAP behind this”, says Cheryl Huxley. “It’ll hopefully bring more nurse, healthcare aides and physiotherapists to our communities”, says Wainwright Health Centre RN Crystal Oracheski.